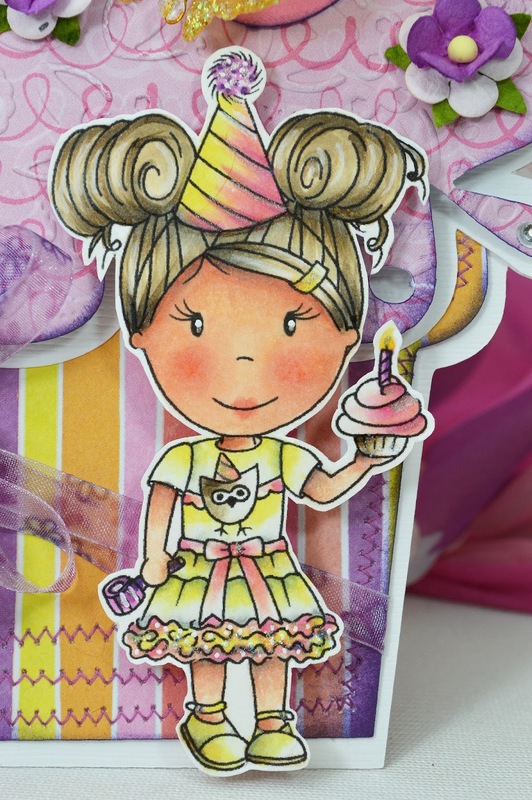 Paper Nest Dolls: Celebrate the Moments! Tammy Louise here to share another Doll and Shape EZ template! When I colored Birthday Emma, it was just for the practice with this type of image. I really had no idea what papers or embellishments would go with her. When I found these dotty little flowers with yellow centers and the butterfly, the papers just started to scream at me to pick them and voila! I surprised myself again with a new favorite color combination! Did any of you have those birthday parties when you were 6 years old and half of your kindergarten class was there. You ate way too much sugar, blew those noisy roll out things until you were out of breath and never made it past 7 pm for bedtime because you were just exhausted? Me too! This card would be great for one of those parties! The kind you never forget! 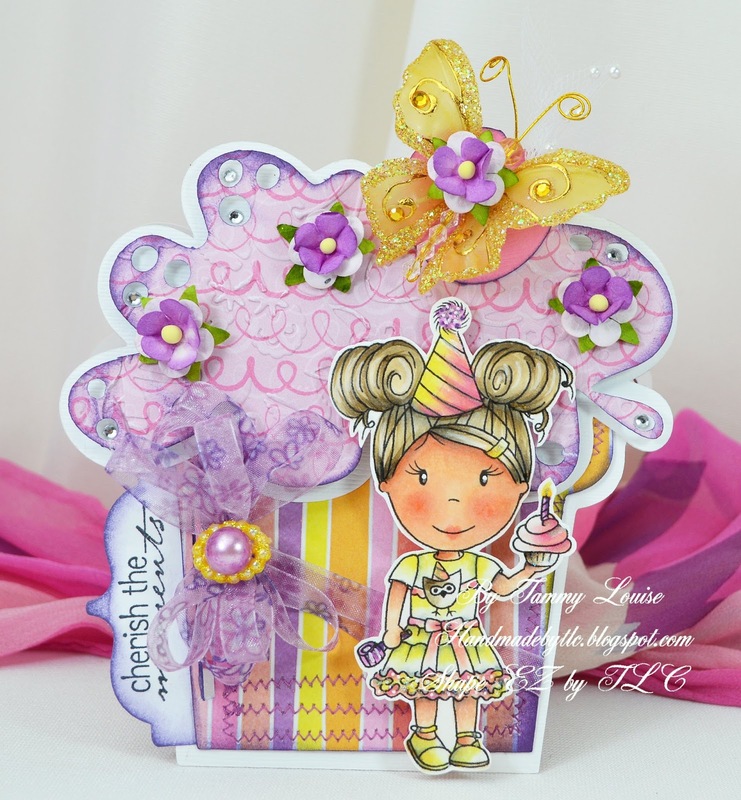 I decided to create a special Shape EZ card for her to really set the image off and help to Cherish all those special moments when we were kids and our moms really made our birthdays special! I used Copics on Birthday Emma doll and altered the pearl to purple with them as well, distress all of the edges with Ranger and my sponge and I gave the wrapper some sewing texture. The light and fluffy frosting is popped up and embossed giving it a really fluffy look. If you've been crafty and have a CAS card projects this week, be sure to join in on the challenge blog as well! 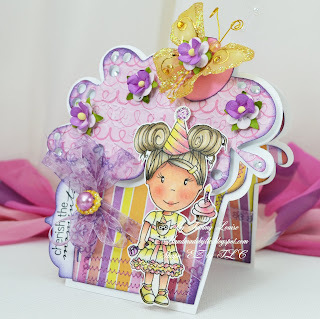 Sentiment is Raindrop Echo Designs with Whimsy Stamps "Birthday Seals"
I love her with heart shaped lips! 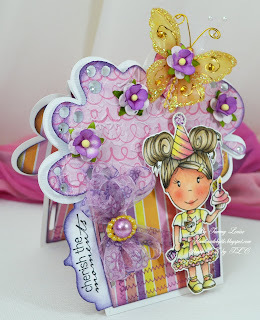 There are more photos and full details on my blog Handmade by TLC if you'd like to stop by. Be sure to say hi while you're there and enter my current candy! Have fun and keep crafting! Goodness this is soooo cute!!! I absolutely just LOVE how beautiful birthday Emma is colored and that cupcake card is so awesome! Love it, going to have to check it out .. thanks for sharing! 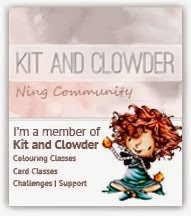 Such a beautiful shape card, just LOVE it! !